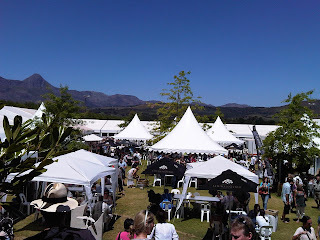 Entrance was R40 and it was on gorgeous Lourensford Wine Estate. 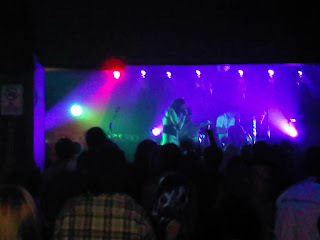 It really was a perfect venue and easy to find. There were 6 different tents with vague themes that ran through each tent. The one's that were make-shift marquees were UNBEARABLY hot (specially because Saturday night was spent at Assembly watching Desmond and the Tutu's - they were sensational, really!!!) 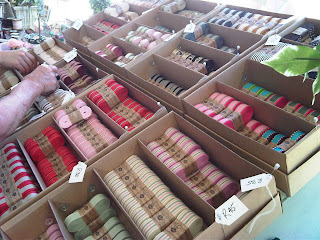 - not sure how the stall owners coped because I nearly passed out! Four tents were dedicated to decor/gifts/clothes/furniture and the other two were food tents. 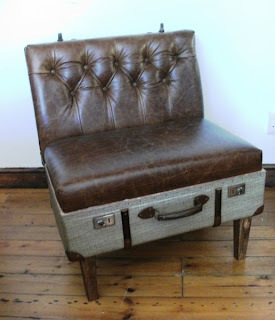 My favourite was these transformed vintage suitcases. They were made into chairs and side table and were just gorgeous. this pic doesn't really demonstrate this but promise they were stunning. On Friday night I went to a definite hidden gem in Sea Point called Cedar Restaurant. its a Labanese place that has been in Eat Out's recommendations years after year. I was so impressed, the host - David - was the most endearing little Lebanese man! One who spoke about each dish with such love and passion. the decor and initial atmosphere was not exactly vibey, but when the restaurant filled up it improved. 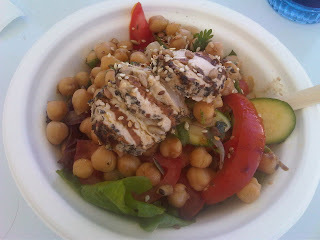 I had a chicken and chickpea dish (overdid the chickpeas this wkd!). The other food was also amazing, with my best being the baklava dessert!